pWPT or pWPXL can be used for constitutive transgene expression. 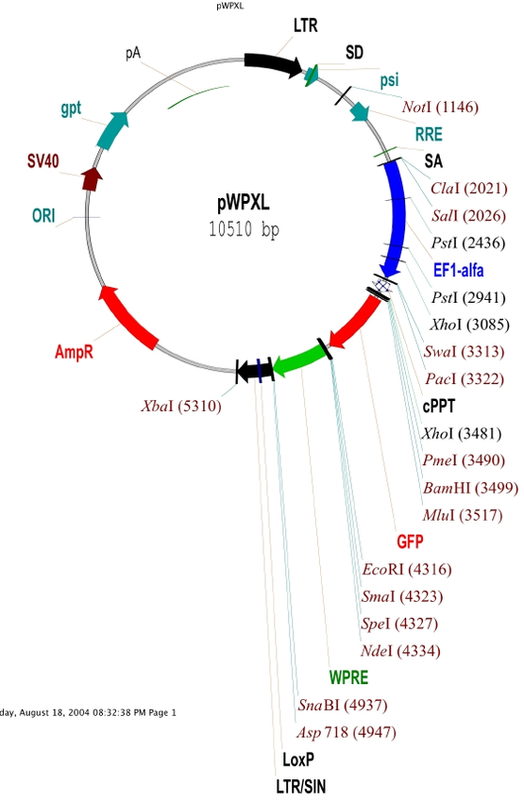 The loxP site in the 3'LTR is duplicated to the 5'LTR during reverse transcription in the target cells. This allows for removal (if necessary) of an integrated provirus by Cre. Unique restriction sites at key positions will allow you to change promoter and transgene. 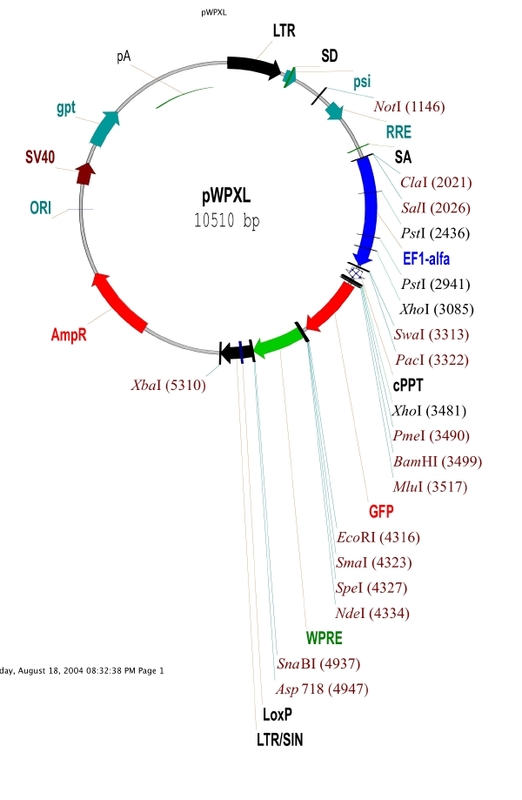 PmeI is a popular site for cloning. You can also use PacI and SwaI. Please note that ClaI in this vector is blocked by Dam methylation. 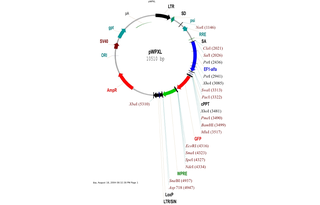 This plasmid needs to be grown in a Dam- bacteria strain if you wish to use ClaI for cloning.